@mikyoui00 is a Japanese chef that has earned a strong following on Instagram for his unbelievable sashimi art. 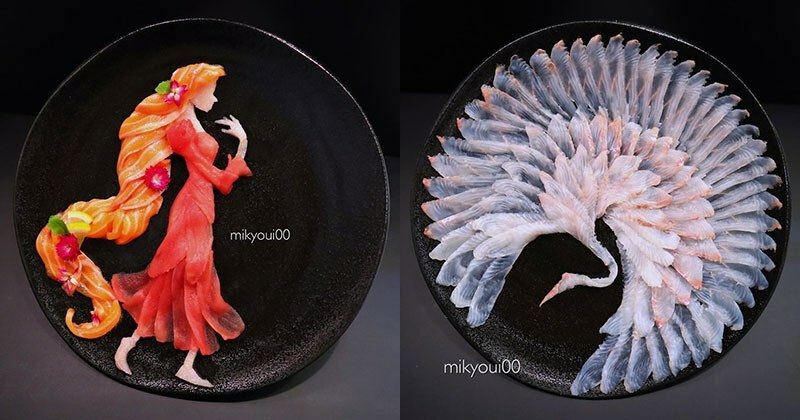 Using the same basic plate to reveal all of his creations, mikyou masterfully uses sashimi in his food art, including the thinly sliced fish’s natural clarity for things like feathers on a bird or folds in a dress. Check out his amazing Instagram page.